Good henna is the key ingredient to a high quality henna recipe. Use very fine henna of good quality. Otherwise, it will need to be sifted before the paste is made and/or strained afterwards. Below are a couple universal recipes that work amazingly for a henna paste. Larger quantities can be made by doubling the ingredients. The henna paste will last 5-10 days in the refrigerator and over a year in the freezer if stored in an airtight container. 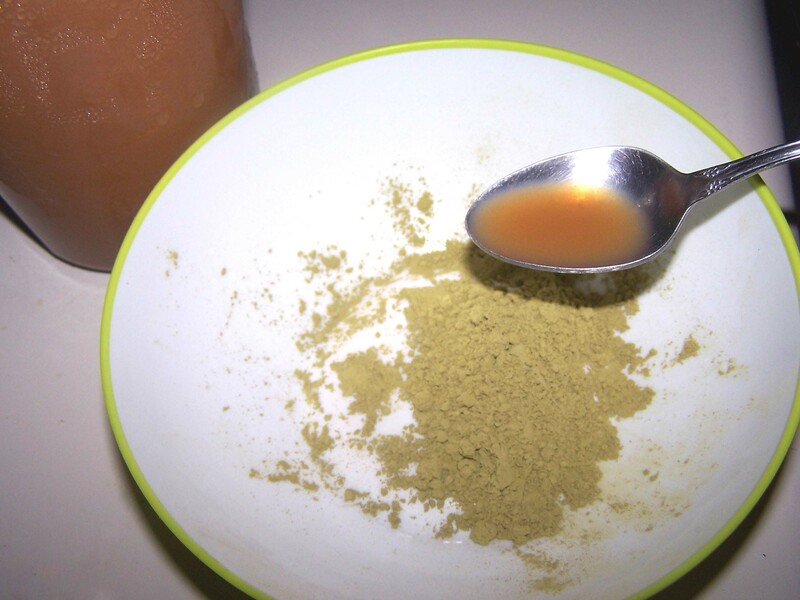 Place the henna powder in a glass or ceramic mixing bowl. Add essential oil, sugar and warm lemon juice to the powder and mix well. 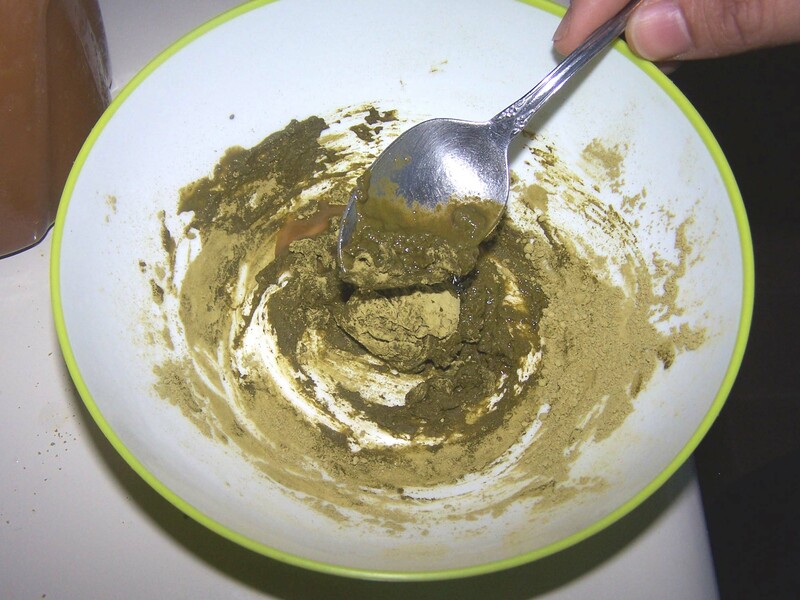 Add just enough warm tea mixture (a spoon at a time) to the henna, stirring eachtime, until the henna is a toothpaste-like consistency. Be sure to mix well. Cover and let it sit in a warm place for 24 hours. Use immediately or place in an airtight container or Ziploc bag and freeze. For immediate use, spoon the henna into an applicator cone. If using an applicator bottle, cut a large opening (about ¼) at the tip of the cone and squeeze out paste into the bottle. Otherwise, snip a tiny whole at the tip of a cone the size of a pinhole and your cone is ready to use! Put water in a deep pan over medium heat and bring to a boil. Add all ingredients and stir. Cover and simmer over medium heat until the mixture is half its original quantity. Remove from heat. Let it sit for 5-10 minutes. Strain through a fine sifter in a large bowl, squeezing down the ingredients with the back of a spoon to get more liquid out. Throw away the material in the sifter. Let sit for a couple minutes so the large particles can settle down. Without stirring the particles, pour the tea into another container leaving the large particles in the first container. The tea can now be mixed into henna to make a paste or cooled and put into ice cube trays for later use.